Leaders Serving is a monthly glance into the lives of Auxiliary University Programs alumni. February’s spotlight was cast on The Citadel and AUP 2013 graduate William Singletary, who said his career in the Coast Guard got its start when he picked up an AUP flier in an academic building hallway. Will you explain your current job title and give an explanation of your duties? I work for Carotrans, a non-vessel operating common carrier. We have so many slots per vessel, and we find customers to fill those spots. I manage all the rates for the company, so I’m technically part of the corporate team for that. What do you do with the Coast Guard now? I’m in the Coast Guard Reserves. I’m currently at Sector Charleston in the incident management position in response. … I’m up for rotation in September – and I have no idea where I’m going to end up there. I’m just getting my qualifications, but basically if there’s an oil spill, my main part of the job is incident management and learning how to control an incident. Hopefully I’m going to get a port security, but I’ll go wherever they tell me to go and do a good job wherever I go. I was commissioned in August, and was enlisted three years prior to that. What were your major and minor in college? My major was in business administration. No minor. You get a lot of dedicated people, especially if they stay all four years. If we just one person that goes into the Coast Guard a year, who enlists or as an officer, that’s huge, and compared to how big the Coast Guard is, that’s a big number. You definitely learn how to manage your people, keep them interested in what they’re doing. You want to take them out on the boat and experience what the real Coast Guard is – it’s not just academic study. You have to keep the cadets interested and kind of get them hooked. In dealing with the Auxiliary, it’s a volunteer organization, so you have to be respectful in how you treat people, their time and do things. Which flotilla are you in? I recently transferred to 12-6 Charleston (South Carolina). Especially before I went into boot camp, I knew a lot of the things, and I did a lot more than the average AUP student. But I knew so much and I was more knowledgeable than the average person who went into boot camp. It just helped tremendously. I wasn’t really worried about that aspect of it at all. It helps you, as well gives you a really good inside look of the Coast Guard as well. 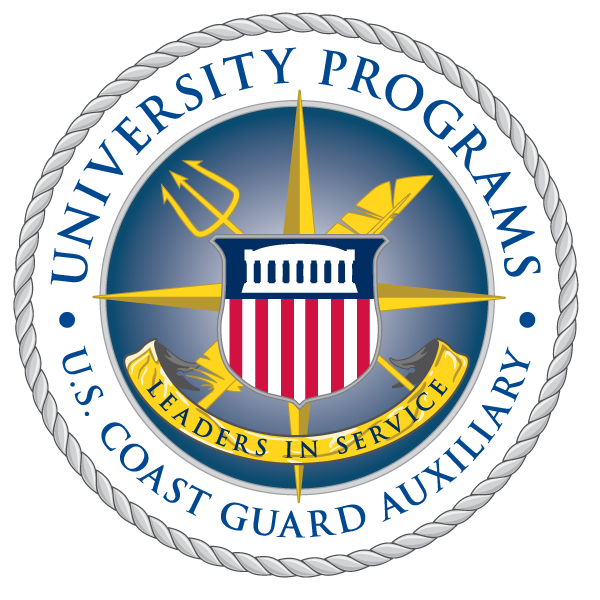 As an aside, going to The Citadel, I wanted to be there because I wanted the structure and I liked the class size, but the reason I’m in the Coast Guard now is because of the AUP. … I knew I wanted to serve, I knew I wanted to do something in that capacity. And it was a good fit. That’s why I’m in the Coast Guard today. I would say keep it up. It really gives you a leg up on the competition and, just like with anything, it is what you make of it. … If you’re in it, be in it. Do what you have to do to get qualified. If you want to be in the Coast Guard, this is a way to do it. Just keep up the hard work. It’s going to pay off. This program is still young and I think it can turn into something even greater than it is today. Replies were edited for clarity and length. The Leaders Serving profile runs toward the end of the month. If wish to recommend an alumnus or alumnae to be featured, please email his or her contact information to AUP Branch Assistant Bethany Buchanan at bethany.buchanan@cgauxnet.us.